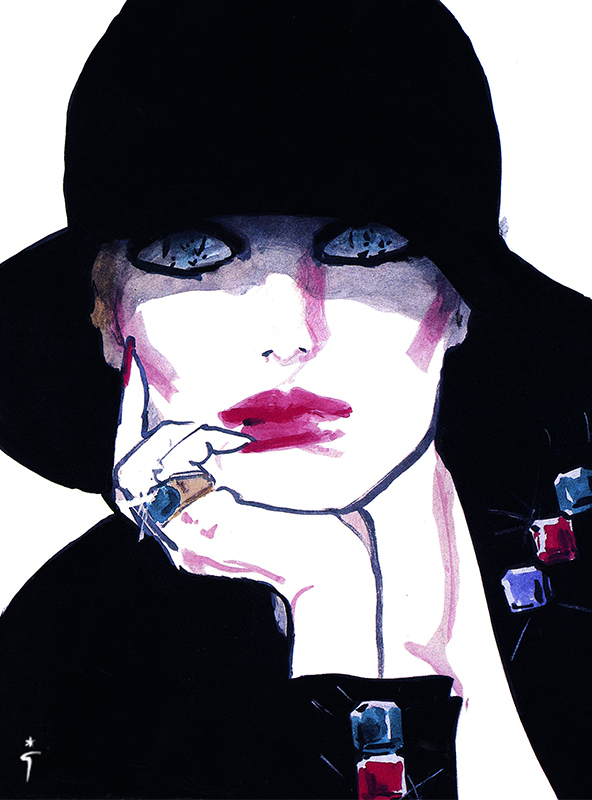 Gruau influenced the graphic style of a whole generation of fashion illustrators. Here is an example. His intemporal style was a great value for luxurious brand such as Van Cleef & Arpels. In 1982 René Grua did some of the best drawings of his life.